You can add people to any number of lists. 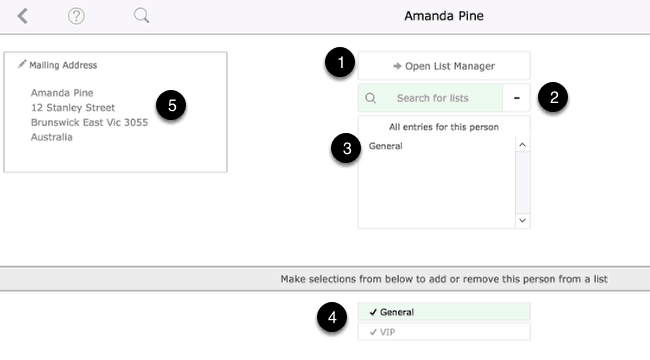 Lists are an ideal to create groups such as VIPs or create lists for emailing. 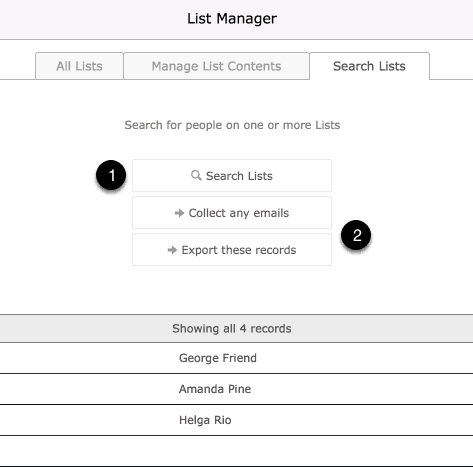 Start managing Lists from the People Component of Tessera. 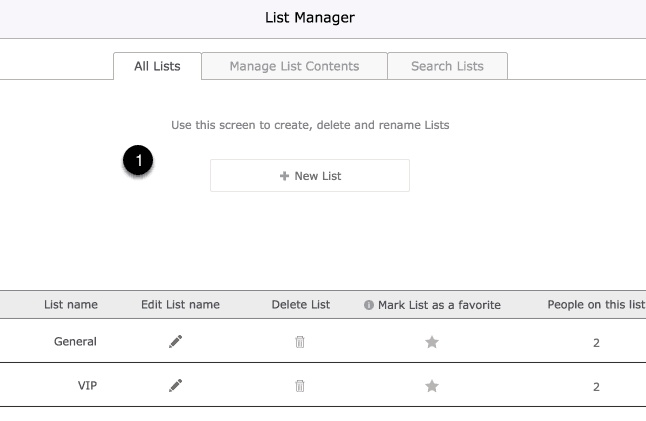 The List Manager gives you the controls to create lists and manage their content. Search for lists by name. Entries for the current person are displayed here. Click on available lists to add or remove the current person from specific lists. 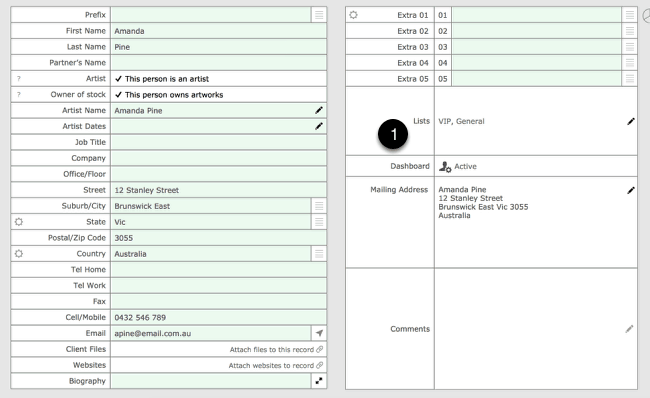 Make alterations to the mailing address, this can also be managed from the People Edit Screen. Use the All Lists tab to rename and delete lists or mark them as favorites which mean they move to the top of Lists making them easier to select. Also review people on a particular list. Select a List to view it’s content on the right side of the screen. Select individual people to review and edit the Lists they’ve been added to. Use the Batch feature to move groups of people between Lists or to amalgamate Lists. Conduct searches on Lists using the List filter. Once you’ve found people belonging to selected lists you can export the result or collect emails from the found records.